Hello there! I hope March is finding you well! To be honest, I got a little off-track in January and then really off-track in February. Now that March is here, it's time to re-focus and think about how I can change my habits for the better. 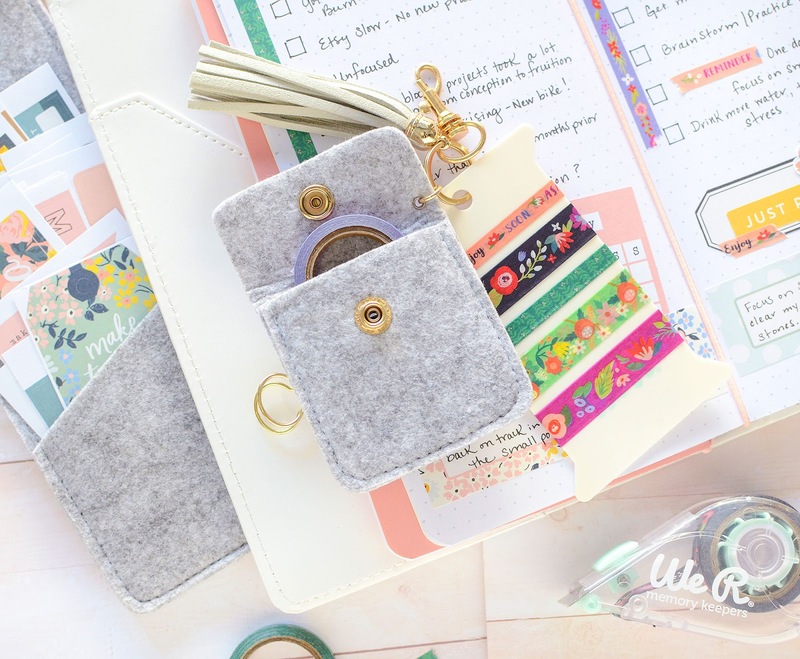 I sat down with my Crate Paper journal and some WRMK Journal Studio accessories to look back at February in order to look ahead for March. I started by writing down a few things that weren't going so well in February, yet I was also conscious of some things that were positive. I put in a few bullet points with the All-in-One Journal Tool, deciding I would check off the habits I wanted to maintain in March. 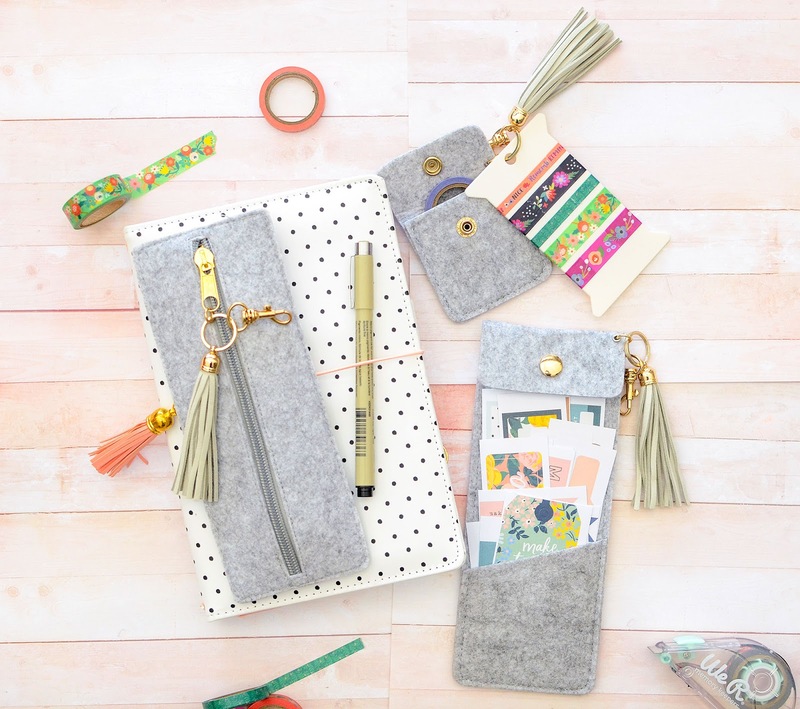 I keep my journaling pens in the Felt Zipper Pocket because it's convenient. I have my favorite pens and they aren't just for journaling so I keep them in the pocket at my desk where they're handy for all my writing needs. 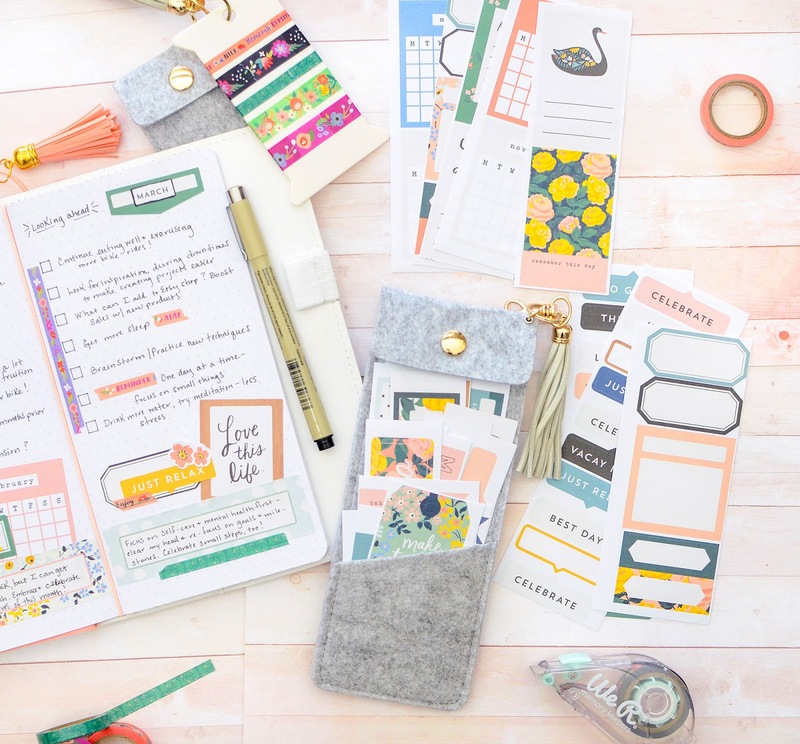 I can slip it in my purse or move it around the house if I'm journaling away from my desk. 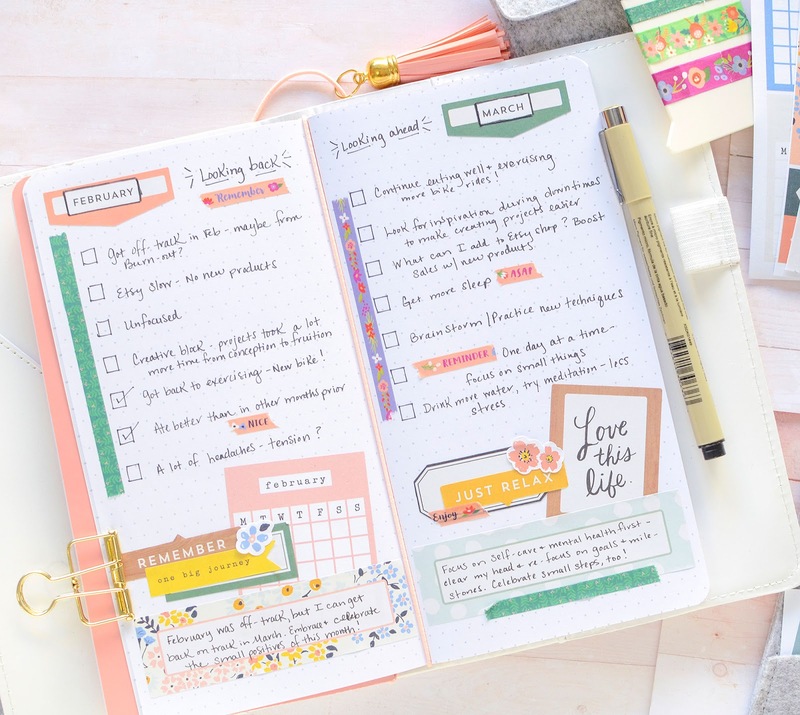 After writing down February details, I took a few minutes to focus on March--areas of improvement, exercises to help push me in the best direction, and the previous month's highlights that I should continue doing. In April, I'll look back at this spread and track my progress. Once again, I made boxes to cross off at the end of the month to see how I faired. I wanted to add some fun details to the pages and washi tape is an easy way to do that. I keep a few favorites on the Washi Keychain; the ones on there now are from We R Memory Keepers, and I used them with the new Washi Tape Runner. It makes adhering a long strip of washi frustration-free because the washi doesn't curl up on itself, get tangled, or stick to other surfaces. It gives you a nice, clean line with minimal effort. 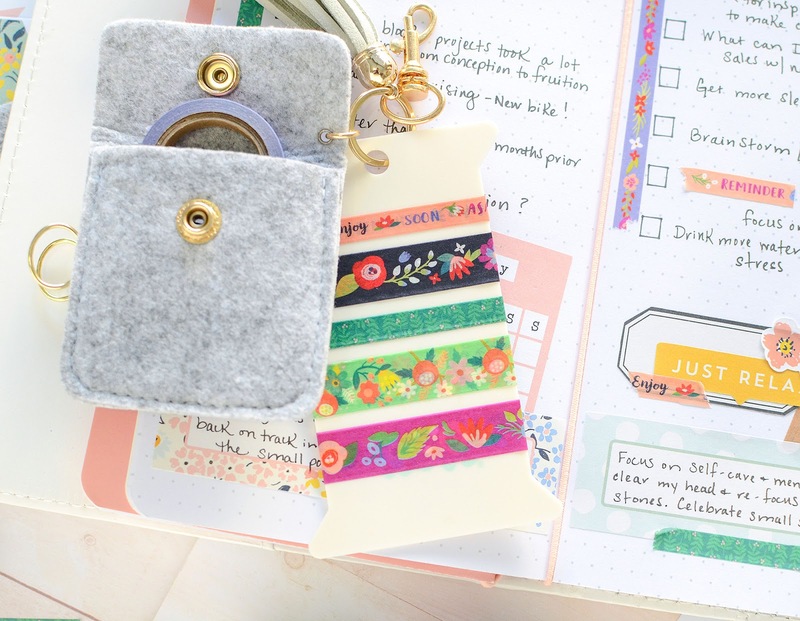 The Washi Keychain is a fun tool for keeping strips of tape handy for use in my journal. I can change them out frequently and don't have to lug around a handful of rolls with it. I can also keep a roll in the little pocket, which I've chosen to do. I accented my page with some journaling stickers, too. I have a large sticker pad, but I don't really want to keep the entire book with my journal since it's pretty hefty, but also because I might decide to use some of the stickers on other projects. What I opted to do instead was to tear out a few sheets and cut them into smaller strips. After doing that, they conveniently fit in the Felt Snap Pocket. I put the longer strips in the large inner pocket that snaps closed, and the shorter strips in the front stash pocket. 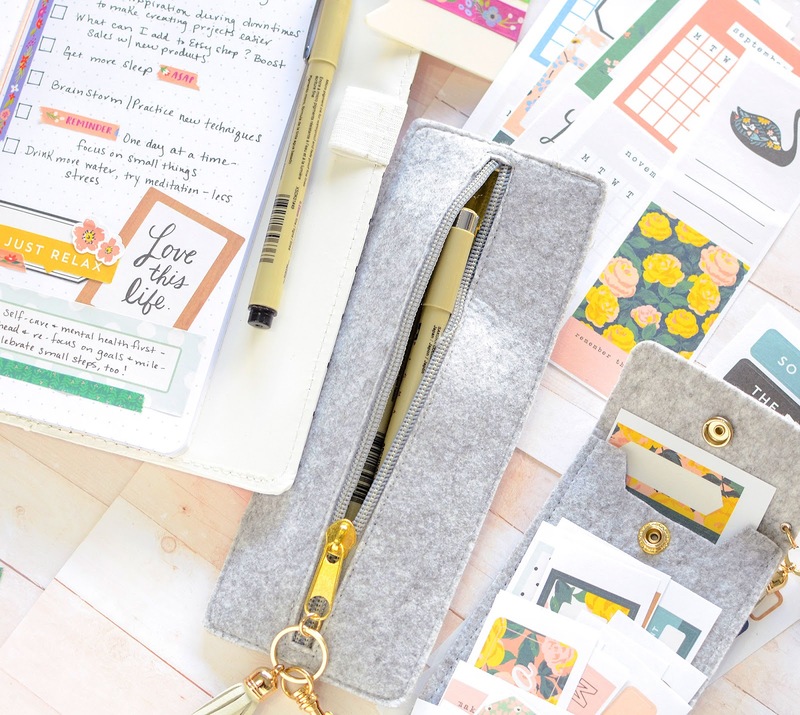 I absolutely LOVE keeping them in this pouch that can be clipped to my journal or slid onto the inside cover of the journal. It keeps the sticker sheets tidy, organized, and within reach when I'm ready to use them in the journal. All of the felt pockets are flat and store well, holding just enough supplies without being bulky or overwhelming. 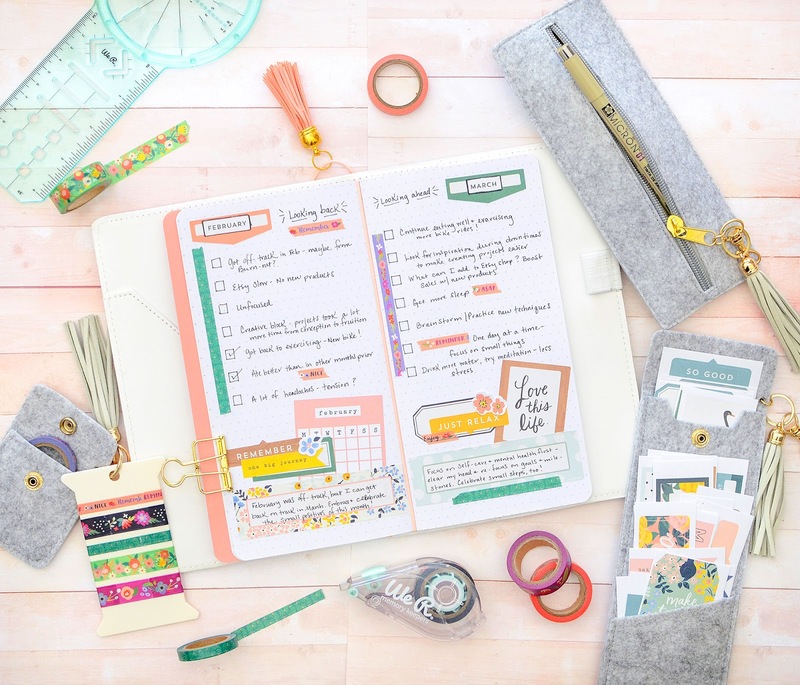 For me, spending loads of time on journal decorating sort of defeats the purpose of keeping me on track (though it's still fun to decorate and it's certainly prettier to look at). 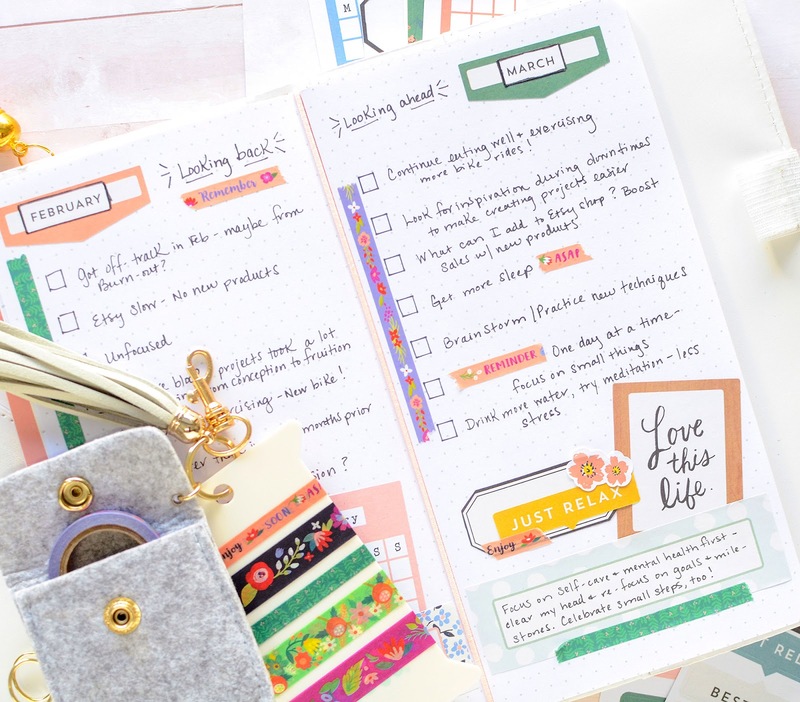 Not only do I not want my journaling pouches to be very thick, I also don't want the journal itself to be bulky. Having the convenient pockets stocked with the stickers, pens, and tapes is convenient and means I'll be more likely to sit and journal, instead of searching all over my studio for the right tools and embellishments. 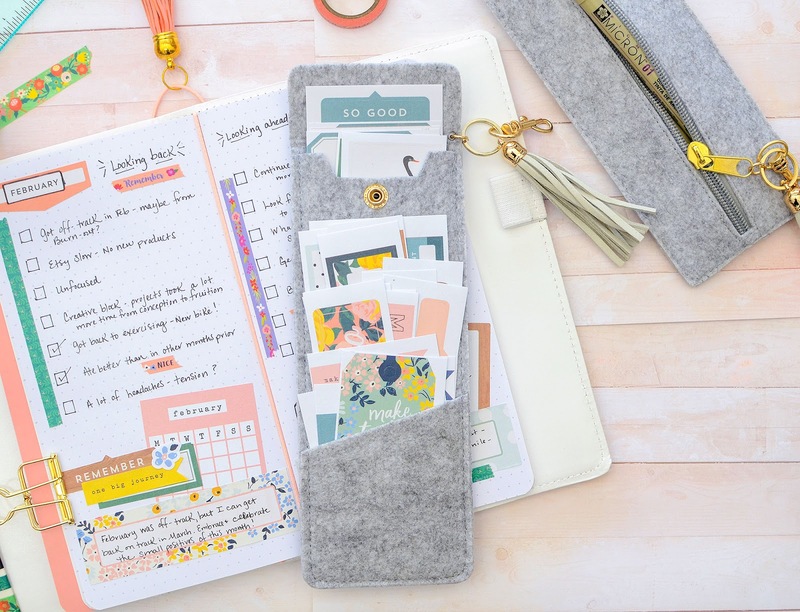 If you love to journal or plan, these pouches are awesome! 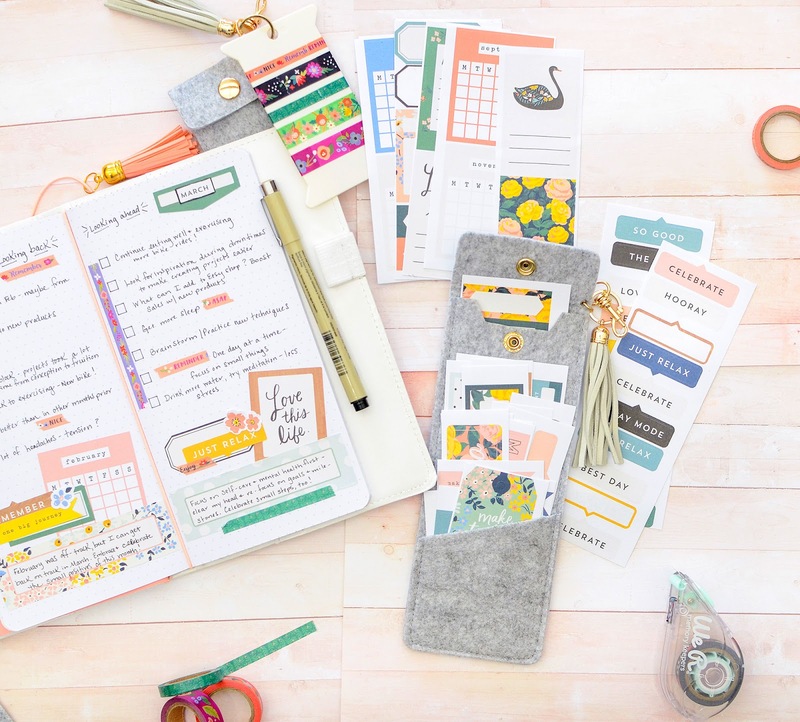 Be sure to check out all of the WRMK Journal Studio accessories to make your journaling time more productive and a lot more fun. Have a lovely week, friends!